April 17, 2014 When a Southfield home went on the market last fall, in a highly Jewish neighborhood where many homes were still under-water, the owner was nervous. Could she sell the house for a healthy price and in enough time to buy the house of her dreams? After all, the market was slow and if comparable sales were to be believed, she might have had to bring money to the table. 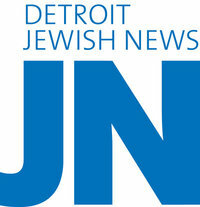 Jewish News April 17 2014 Going Going Gone! On June 15, 2014, Ron Jasgur and Rod Carey were featured guests on Small Talk with Mark S. Lee, presented by Ann-Arbor based Domino’s Pizza. The radio show showcases the secrets behind today’s successful start-ups and small business ventures, with a particular focus on Detroit-based and small businesses throughout Michigan. The show features business experts and entrepreneurs who offer practical tips and resources focused on addressing business challenges, next-level growth, sustainability and market trends. 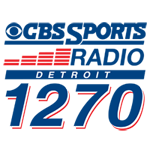 Sundays 7-8:00 am, CBS Radio Detroit WXYT 1270 AM. To hear the interview, CLICK HERE and move the slider to the 43:30 mark.